Pittock Mansion participates in the Arts for All program. Visitors who receive food stamps through SNAP and have an Oregon Trail Card can buy up to 2 admission tickets for $5 each. Present your Oregon Trail Card at admissions at the time of purchase. Visit the Arts for All page for more information. Visitors are welcome to take photos of Pittock Mansion as well as casual commemorative photos of each other. No flash photography indoors. Pittock Mansion staff or contracted photographers may photograph or film visitors to the museum. By entering the premises, you consent to the use of your likeness for educational or promotional purposes by Pittock Mansion, its affiliates and representatives. If you or someone you are with does not want to be photographed, please inform the photographer or a visitor services representative. 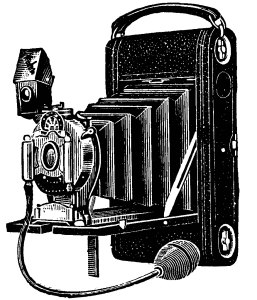 Visitors seeking to use the Mansion as a backdrop or “set” for portraits, artistic photography, or a film must submit a commercial photography & filming request. All requests are subject to approval, include facility rental fees, and must take place outside of Pittock Mansion’s normal hours of operation. Take Trimet bus 20-Burnside/Stark to Beaverton TC* to bus stop at W Burnside and NW Barnes (stop ID #687). Walk the half mile uphill following “Pittock Mansion” street signs to reach the Mansion. 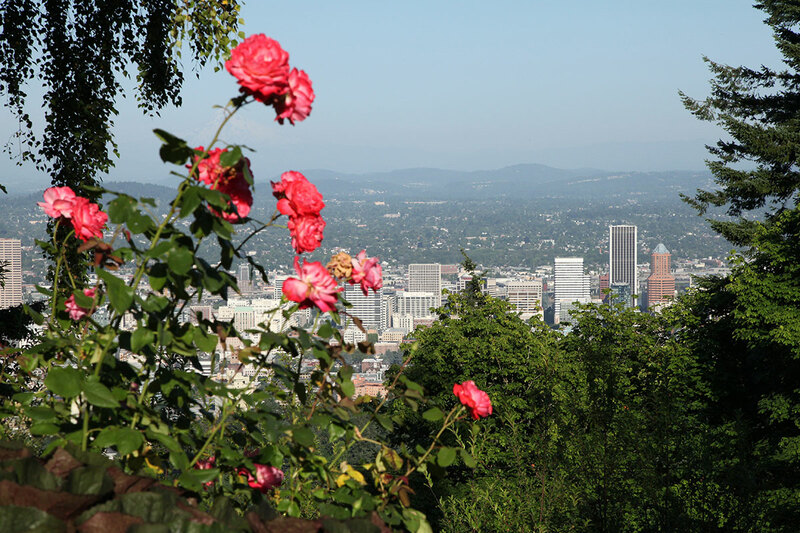 *Note: Some #20 buses end service before Pittock Mansion’s stop. Be sure the bus’s electronic sign says “to Beaverton TC” or ask the driver. For directions, please visit Google Maps. Some GPS systems have incorrect directions to a dead-end street. The best way to find Pittock Mansion is to follow the street signs on Burnside. Travel West on W Burnside. About 2 miles past NW 23rd you will see a sign for Pittock Mansion at a yellow flashing light. Turn right at the light onto NW Barnes road. Follow the green and white signs to Pittock Mansion. Travel East on Hwy 26. Take the Sylvan exit and cross over the freeway, placing you on Skyline Blvd. Take Skyline to Burnside, turn right onto Burnside and go through a small tunnel. Look for the yellow flashing light and the Pittock Mansion sign. Turn left at the light onto NW Barnes Rd. Follow the green and white signs to Pittock Mansion. Take I-84 Westbound into downtown Portland. Take the City Center exit, turn right onto SW 2nd or SW 4th, and then turn left onto W Burnside. Take Burnside West and follow the above directions from downtown. Take I-5 South to I-405, follow the signs carefully to the W Burnside exit. Turn right onto W Burnside and follow the above directions from downtown. Take I-5 North and take the City Center exit to 12th street. Turn left on W Burnside and follow the above directions from downtown. Pittock Mansion has a designated accessible entrance and elevator. The Gate Lodge is currently not wheelchair accessible. Please note: Motor scooters and larger wheelchairs will not fit in our original 1914 Otis elevator. The Mansion has two standard size wheelchairs for visitors who are able to move from one chair to the other either by themselves or with assistance from a caretaker available on a first-come-first-served basis. Our elevator is over 100 years old and requires routine maintenance and repairs. Please call Visitor Services at 503.823.3624 prior to visit if you have any questions regarding accessibility. Can I tour Pittock Mansion with a stroller? Pittock Mansion is a historic house museum and not designed for stroller use. Please consider leaving strollers behind. Strollers can be used, but visitors will need to be able to carry them up and down the stairs. Visitors also have the option of checking their strollers at admissions or the main entrance to the Mansion. Does Pittock Mansion allow pets? 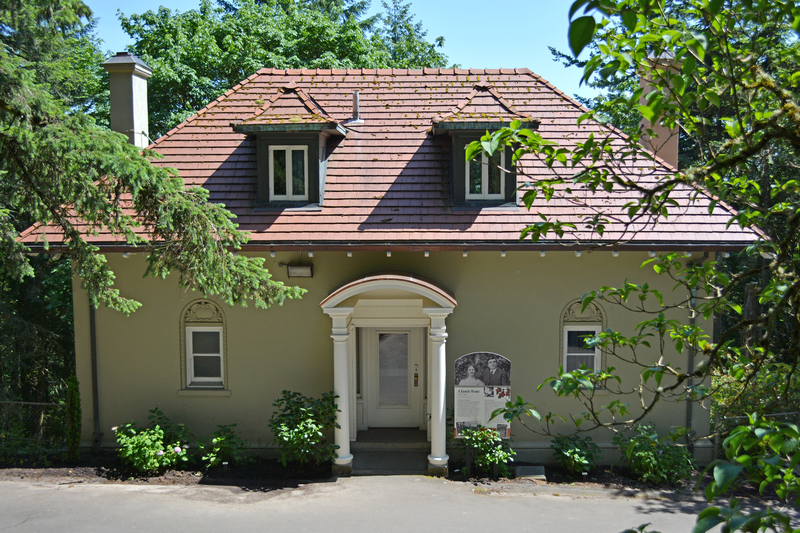 No pets are allowed in Pittock Mansion, The Gate Lodge, or Garage. Pets are allowed on the Mansion’s grounds, but owners must adhere to all City of Portland ordinances regarding pets in public spaces. Please note: Emotional support, therapy, and service-dogs-in-training are not recognized as legal service animals under the ADA and are therefore considered to be pets. Learn more on the Americans with Disabilities Act website. Visitors are welcome to take photos of the interior of Pittock Mansion as well as casual commemorative photos of each other. 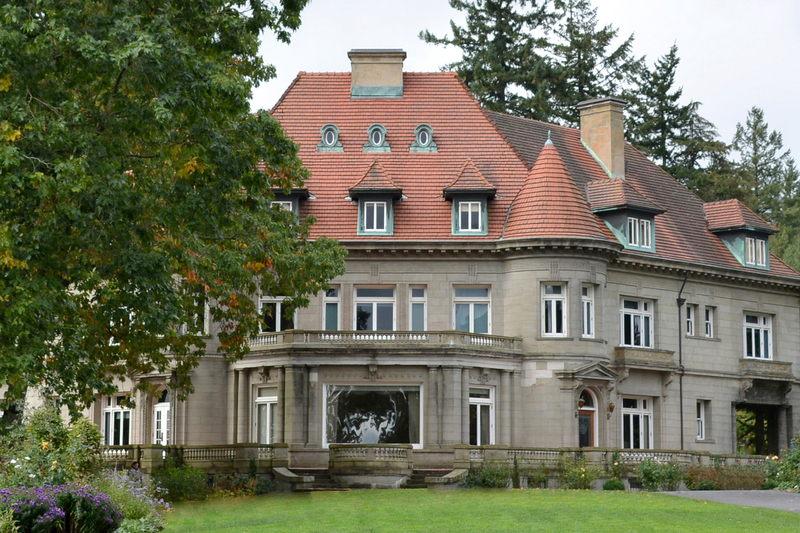 Pittock Mansion is a historic house museum and is not available to rent for weddings or private events. As a benefit of our Corporate Membership, businesses are allowed to host a one-time event based on availability and subject to approval. Learn more about Corporate Membership.